At the Reader's Anti-Valentine's Day Party, tonight at the Logan Square Auditorium, the Hood Internet perform, the Fly Honeys dance, and the Windy City Rollers skate around all night serving drinks. At Urban Sandbox, a literary event hosted by the Hairpin Lofts Arts Center, performers include Marty McConnell (Wine for a Shotgun), Lamar Jorden (Louder Than a Bomb), and Robbie Q. Telfer. 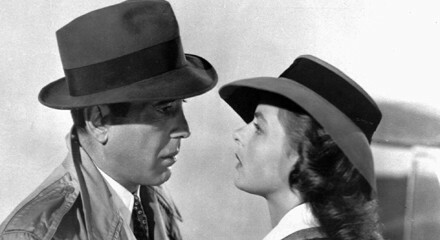 Michael Curtiz's classic Casablanca, screening at the Music Box, will feature lyrics from the film's many songs projected onto the screen, along with organ accompaniment. Now that it's impossible to get rid of bands for good, the next step is to decide which are worth revisiting.